RMCM met the Social Innovation Forum (SIF) through a colleague, and after getting to know SIF’s work supporting innovative nonprofit and for-profit social impact organizations, an exciting idea for collaboration emerged. As investors who always seek out smart, progressive leaders for our portfolios, it is important that we also support local entrepreneurs that are making an impact. While RMCM has expertise in managing socially responsible investment portfolios, the leaders of the firm, Chat Reynders and Patrick McVeigh, wanted to find a way for their company and its staff to become more deeply involved in the local, early-stage social impact community in greater Boston. In a creative partnership, RMCM joined the SIF funding community as a corporate sponsor. The Social Innovation Forum engaged RMCM staff in a range of volunteer roles throughout a full cycle of both the nonprofit Social Innovator Accelerator and the for-profit Social Business Accelerator. RMCM staff were invited to participate in every aspect of SIF’s work, including evaluating applications, participating in interviews, serving on pitch panels, mentoring social impact startups, and attending SIF events. "As investors who always seek out smart, progressive leaders for our portfolios, it is important that we also support local entrepreneurs that are making an impact," said Chat Reynders, Chairman & CEO, Reynders McVeigh Capital Management. 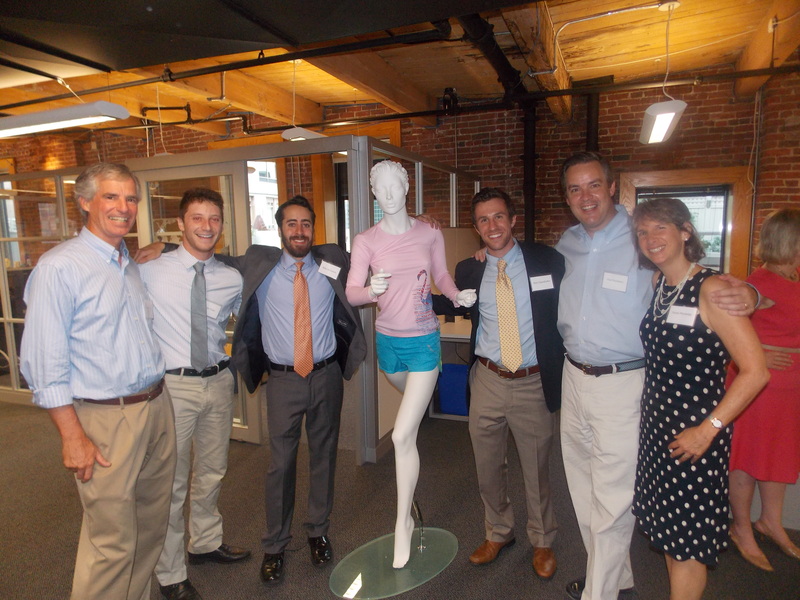 RMCM staff learned about pressing social issues in greater Boston and used their business skills to support SIF’s cohort of Social Innovators and Impact Entrepreneurs. RMCM staff then came together and chose one of SIF’s Impact Entrepreneurs, Janji Running Apparel, to receive the first “Reynders, McVeigh Social Innovation Prize.” This consisted of a $5,000 cash prize and a rooftop reception at the RMCM offices to celebrate Janji and introduce RMCM clients and colleagues to Janji’s innovative social enterprise focused on access to clean water. RMCM staff and leadership were so pleased with the partnership that they renewed their commitment in 2015. RMCM staff participated throughout the SIF program year for a second year and were even more impressed with the Impact Entrepreneurs' and Social Innovators' meaningful work. The company ultimately chose to select two organizations as Reynders, McVeigh Social Innovation Prize recipients – nonprofit Social Innovator Press Pass TV and for-profit Impact Entrepreneur Cabbige. Again, RMCM staff, clients, and supporters, along with the SIF team, welcomed the organizations at a rooftop reception, celebrating them for their impact and commitment to the community. Reynders, McVeigh continues to be a sponsor and supporter of the Social Innovation Forum and looks forward to deepening its relationship with SIF and its portfolio of Innovators and Entrepreneurs over the coming years.